I will fully admit that I have been a Marbury supporter throughout the entire fiasco of this season. I believed that the kid from Brooklyn could bring us a championship. I still think he is the New York Knicks most talented guard, yet I am starting to realize that the Knicks aren’t even in bad shape, without him. They have all been playing so well this season. Nate Robinson has put his name on the map whenever he wasn’t hurt and got minutes. Wilson Chandler has shown huge potential and is on the verge of turning into a superstar wing man. Yet, there are two players that deserve special recognition. These two players that are making this season happen. David Lee Relaxs with the Ladies! the year. This year he has looked like a superstar posting up a numbers comparable to none, for example this year he put up 37 points 21 rebounds game against The Warriors. This guy works hard and does what he needs to do to fit the new system and give his team the edge in any game. Therefore, he is All Star in my book. The second player i wished to talk about is Chris Duhan. Is it me or the Knicks hell bent on picking up all of the Chicago Bulls scraps, and B side players. Literally at one point we had Crawford, Eddie Curry and Chris Duhan. To me that is just funny. Yet I think this time maybe the knicks are in luck. Obviously I hated this kid before he even stepped into the door at MSG, but I have grown to see that he has fulfilled a huge hole in this knicks organization. He has became a team leader. I did not believe this player would have been such a gifted talent considering he was the Bulls 3rd string PG. I was very upset, in fact, when I heard the rumor, The Knicks are going to trash Marbury in order to start Duhan. Which did turnout to be true. 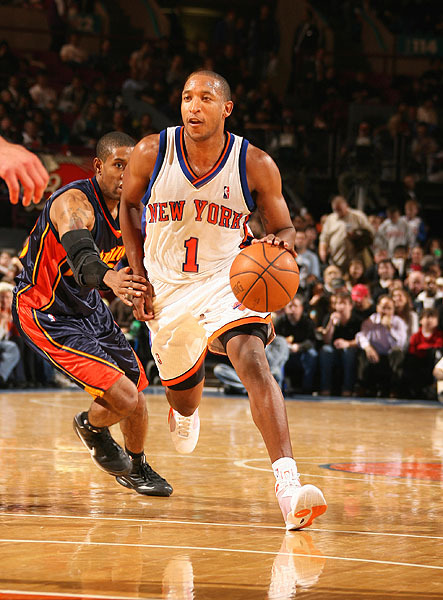 I wanted to vomit at the idea of Chris Duhan, being the “The REAL PG of the New York Knicks”. My nausea was not necessary it turns out, because This season he has had moments of greatness. When a player brakes the assist record for The New York Knicks at 22, that is something special. This guy has heart. Just look at the minutes he plays. Some players can give you 35 minutes, but in that 35 minutes you might not get 100% of the player. He may take brakes and loose concentration, this is not Duhan, he has been averaging 40 minutes per game and plays every possession like it was the first or last. He forces turnovers and he feeds open teamates using Mike D’Antoni’s system. Honeslty the last couple of games he has started to look like Steve Nash. Right now he is averaging more assists per game than Nash actually. Chris Duhan is the truth and when he is not on the floor the Knicks look like a terrible team. 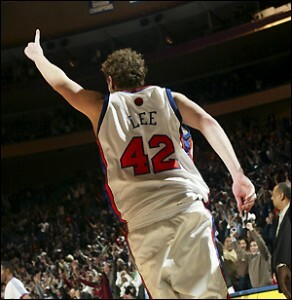 Chris recently lead the Knicks to victory against the Detroit Pistons in a large upset 104-92. He played for 48 minutes in the uptempo system, which must be brutal, yet he pushes on. Chris has been focal point for the media, and they have also attempted to trick him and say controversial statements about Marbury. Chris Duhan is a solid man, and refuses to converse about such things, unlike idiot child Q. If Duhan does not go to All Star game It will be a travesty, for New York Knicks fans world-wide.